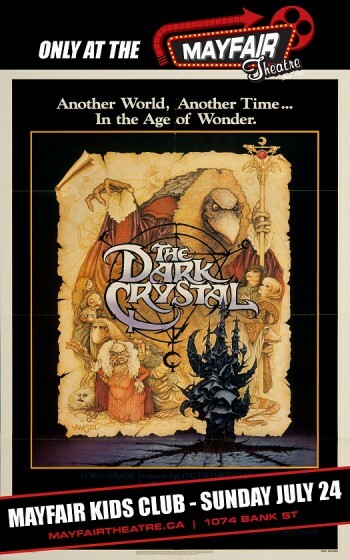 This Sunday, July 24th, at 1:00pm the Mayfair Theater in Ottawa will be showing The Dark Crystal! 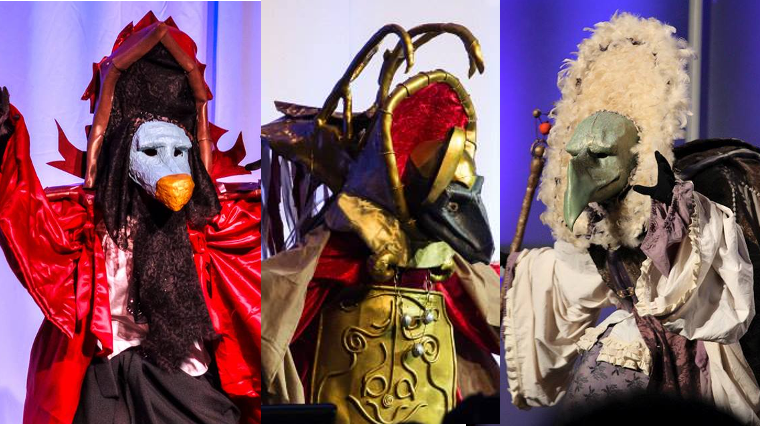 For those of you who don’t know, this is the movie my Skeksis costumes come from, and my con panels. I will however be leaving the Skeksis at home so I can enjoy the movie for the first time on the big screen. To learn more about the world of The Dark Crystal check out the website. Mayfair Kids Club presents a matinee of The Dark Crystal on Sunday July 24th! Another world, another time…in the Age of Wonder. On another planet in the distant past, a young Gelfling embarks on a dangerous quest to find the missing shard of a magical crystal, and so restore order to his troubled world. From directors Jim Henson and Frank Oz, producer Gary Kurtz (Star Wars), and inspired by the work of Brian Froud. Kids can get a membership for just $10 bucks, and then join us once a month at a special FREE movie event. Plus, cartoon surprises on screen before the feature presentation, and prizes at every event!